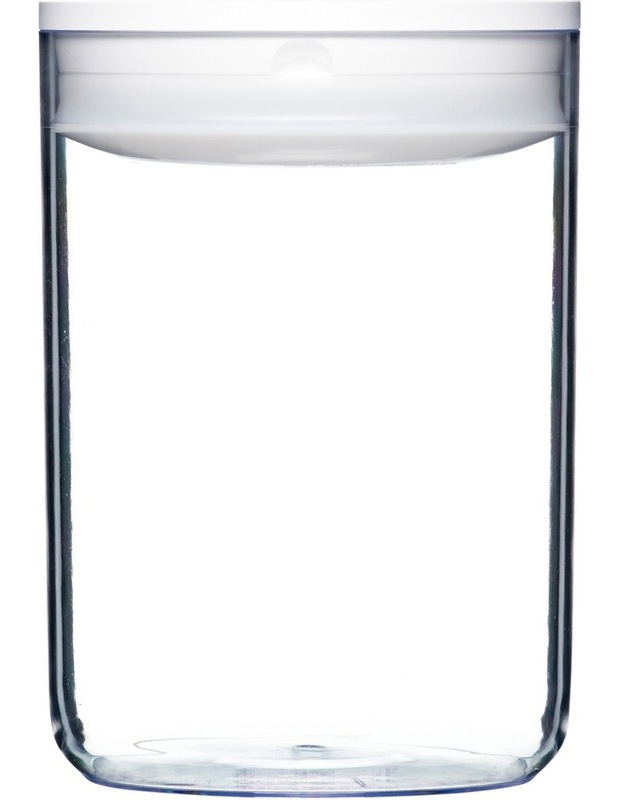 Click Clack Pantry Round White 2.3L. There's nothing we like more than a well-organized kitchen. "There's nothing we like more than a well organised kitchen. Place us or stack us on your pantry shelves, and we'll help you keep things organised. Fill us with your favourite ingredients: nuts, grains, pasta, baking essentials and more: we'll keep all of it deliciously fresh. 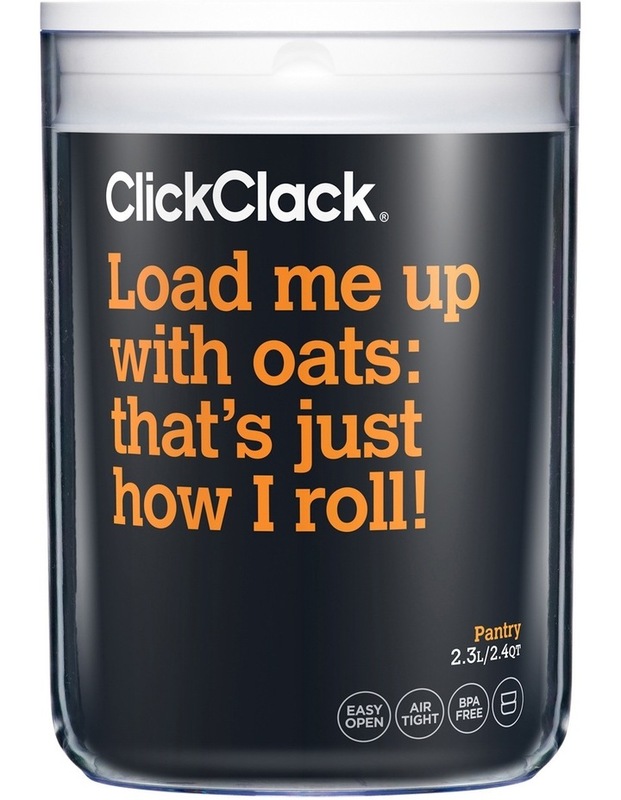 Load me up with lots of cereal or oats; thats just how I roll! You can fill me with muesli, cereal, oats, noodles, split peas or your favourite grains. I fit loads in and look great in your pantry." "One-handed easy opening Airtight seal ensuring ingredients freshness BPA free Stackable Not intended for use in the dishwasher, microwave, fridge or freezer Caring for me: Wash my base by hand in warm soapy water, rinse and dry. Use a damp cloth to wipe my lid and please: never immerse my complete lid in water".